Sriz Beauty Blog: Aster Luxury Bathing Bar Butter Scotch Review!!! Aster Luxury Bathing Bar Butter Scotch Review!!! 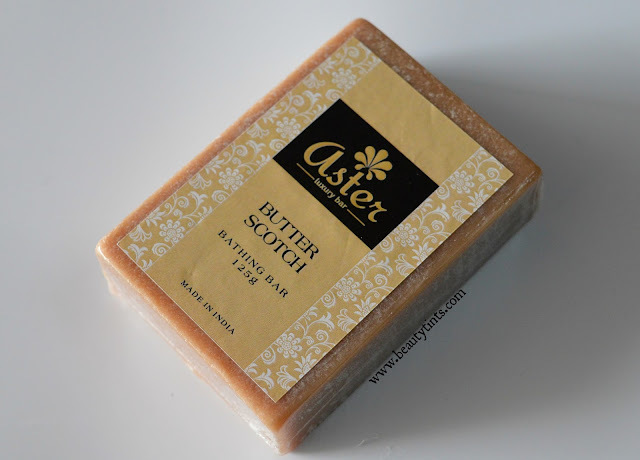 Today I am reviewing one more newly launched variant from Aster Luxury Soaps which is their Butter Scotch Soap.Butter scotch is my favorite flavor in Ice creams and now I am glad that I fond it in soap too.Special thanks for Aster for creating this wonderful variant. 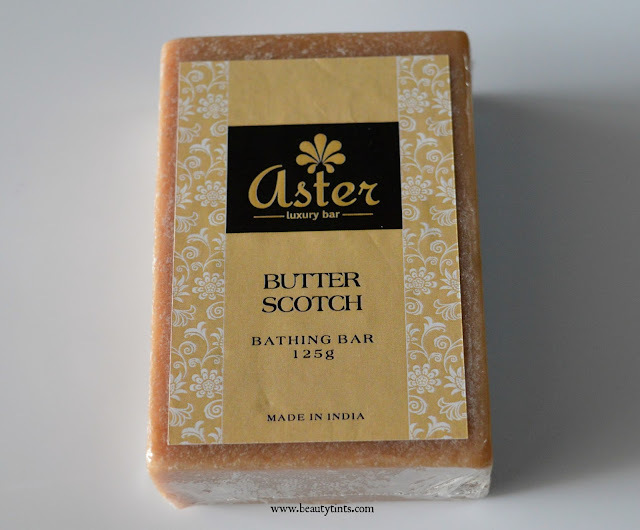 About Aster Luxury Soaps : Aster Luxury handmade bathing bars are premium bathing soaps which are designed for those who nourish their skin naturally. 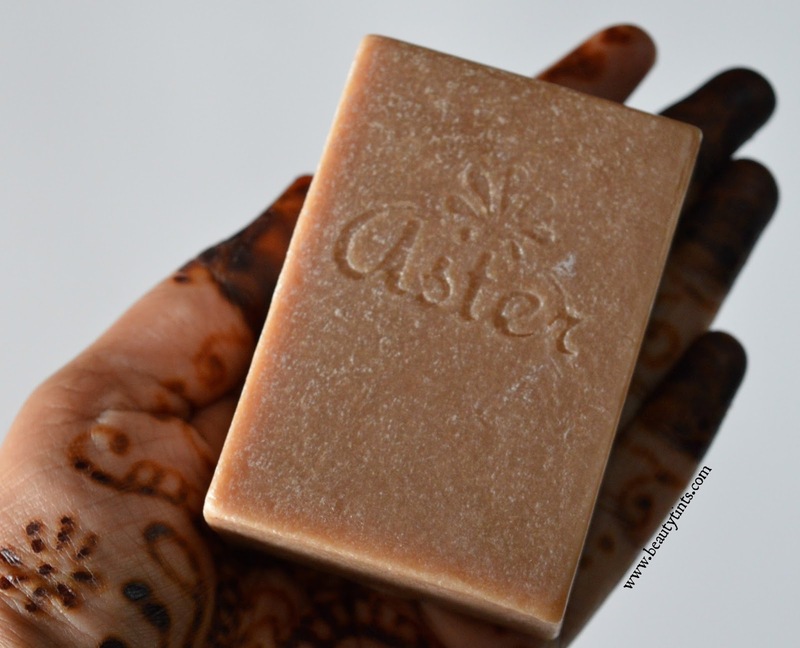 Aster bathing bars are blended for enhancing specific skin types, as every individual's skin is not the same. 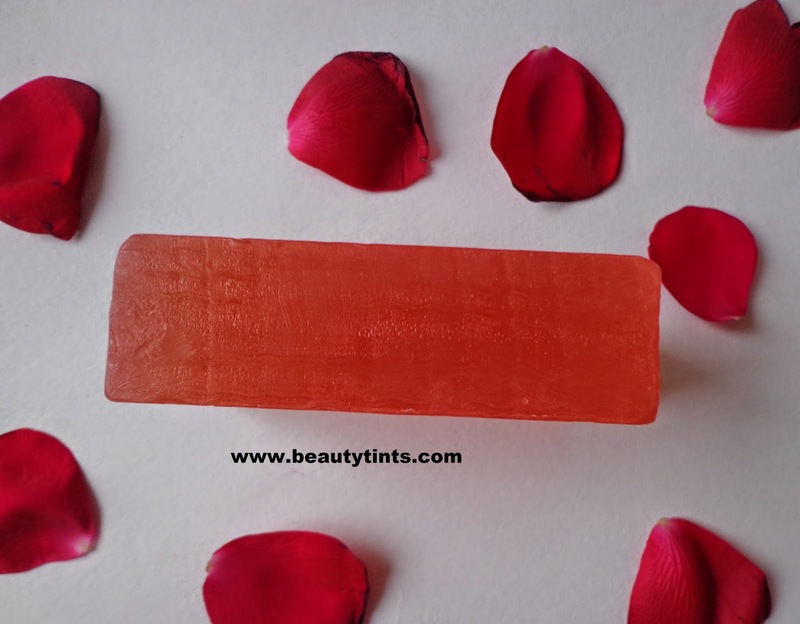 These luxury soaps are skin healthy, soothing and provide natural protection to the skin. Aster bathing bars retain all the possible benefits of herbs and essential oils. Aster luxury handmade soaps use natural ingredients such as Coconut Oil, Sorbitol, Castor Oil, Myristic Acid etc.The Essential Oils & Fragrances used in Aster Luxury bathing bars are sourced from authentic manufacturers & used only after going through stringent quality control methods. 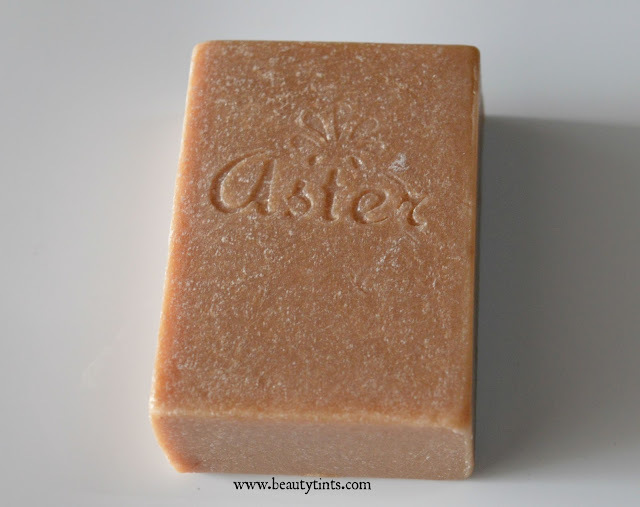 Aster handmade soaps use strong percentage of essential oils thus the lingering fragrance lasts much longer. 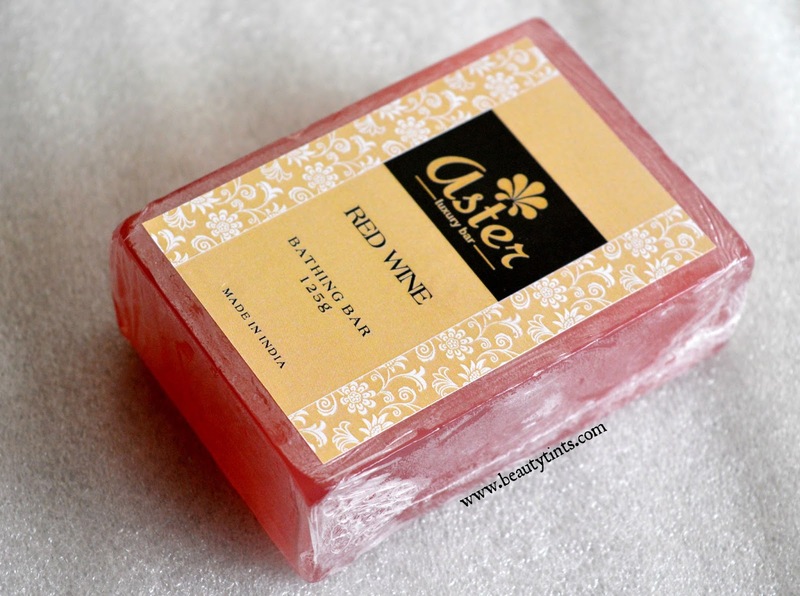 Packaging :It comes in a simple plastic wrap packaging with a label on either sides about the details of the bar. Color and Texture : This is a cream colored solid soap with the brand name imprint on it and has a buttery smooth texture. 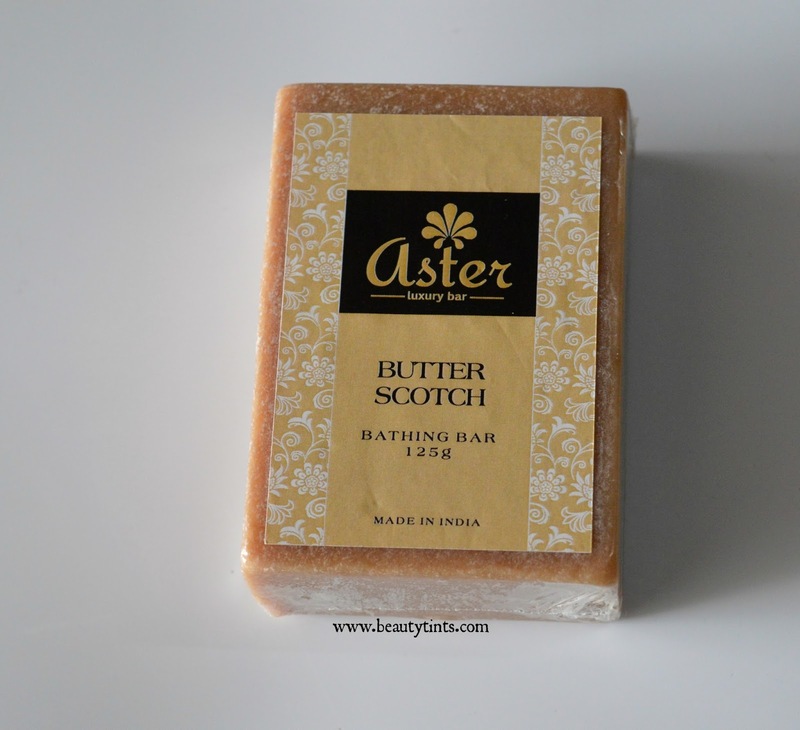 Aster Luxury Butter scotch is an enticing natural organic bathing bar nourishes all skin types. 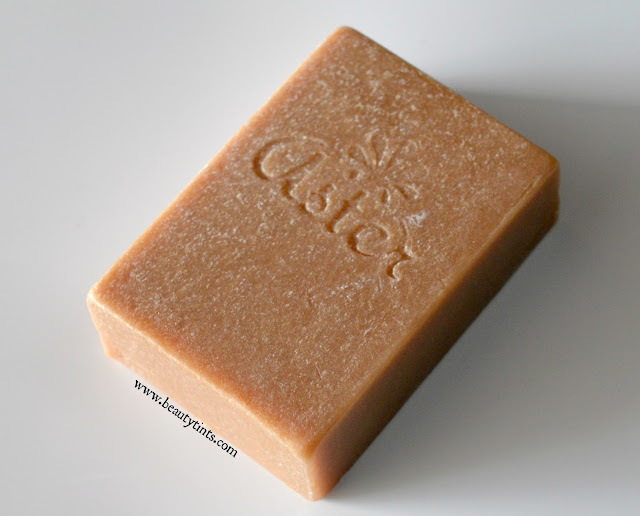 This soap produces rich creamy and gentle lather. 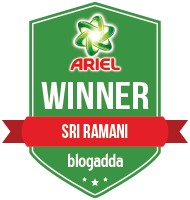 Its mild aromatic fragrance makes you addicted. This soap reduces fine lines and retains the moisture balance. 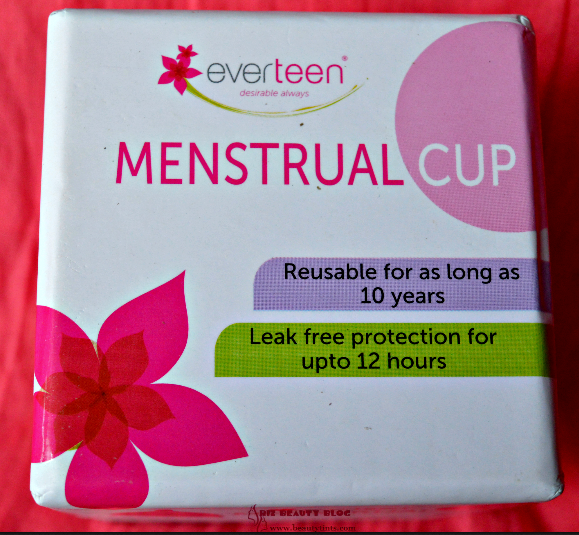 Availability : Available in few online stores,You can buy it from here. 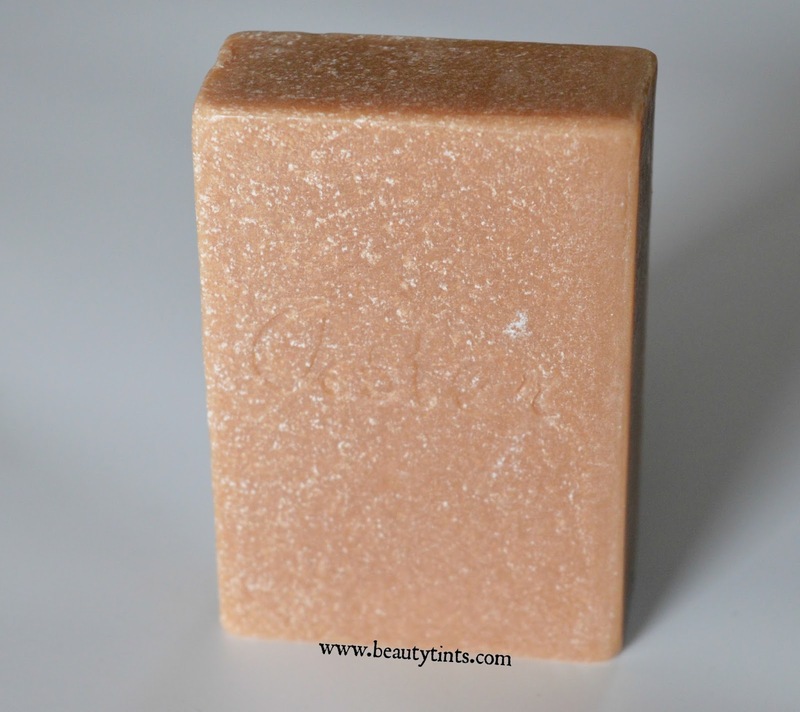 This soap is a cream colored opaque soap with a mild butter scotch fragrance,which lingers for sometime.It lathers into a rich creamy foam and cleanses the skin thoroughly removing all the dirt and grime from deep with in and makes skin squeaky clean.It hydrates the skin thoroughly, with out drying out.It also makes the skin extremely soft and supple.It does not melt easily and retains its shape till the end like all the other variants.It contains the goodness of coconut oil,glycerin and castor oil.It is free from parabens and other harmful chemicals.It is against animal testing and does not contain animal fat in it.It is quite affordable for the quantity and goodness with which it comes.I am really impressed with the improvement and quality of Aster soaps. 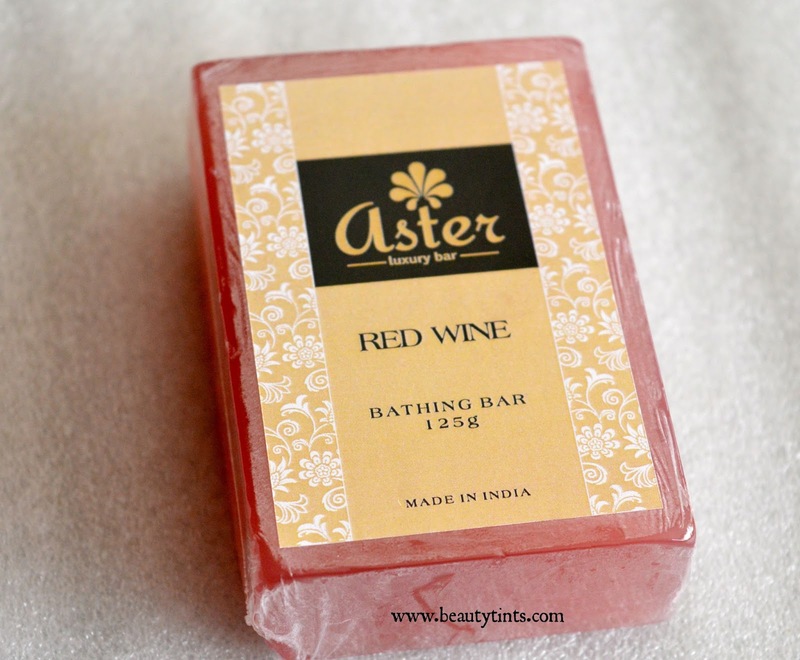 Final Conclusion about Aster Butter Scotch Luxury Bathing Bar: Those who love to try different and unique bathing bars,should definitely try this new Red Wine variant from Aster!!! 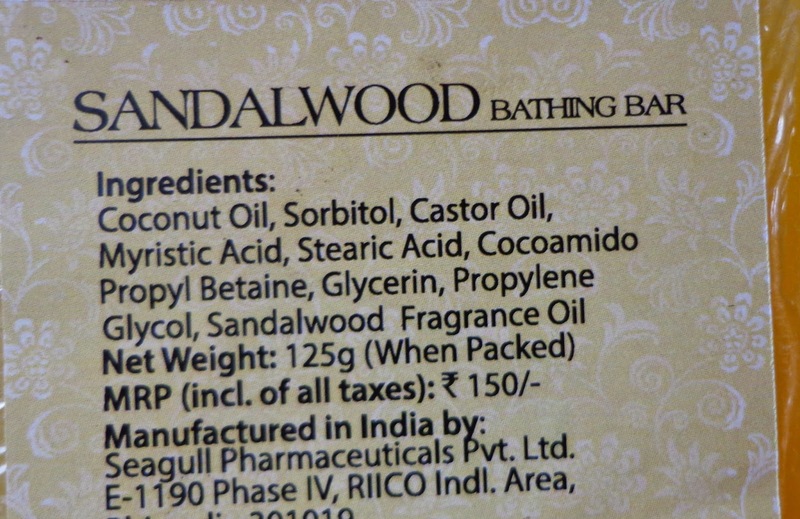 Also check out the reviews of Aster sandalwood soap, Rose soap,Aloe-vera soap, Charcoal, Red wine and Coffee soap here. 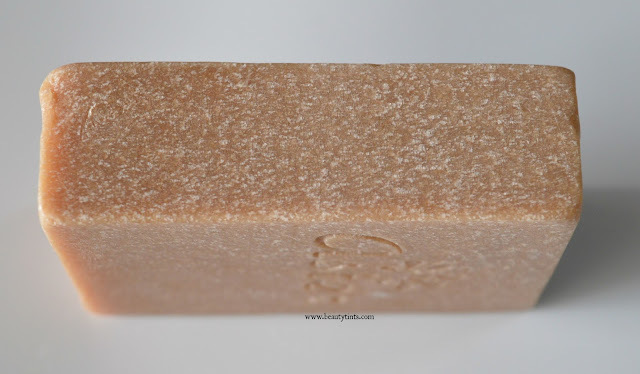 Anherb Natural After Sun Gel Review!!! 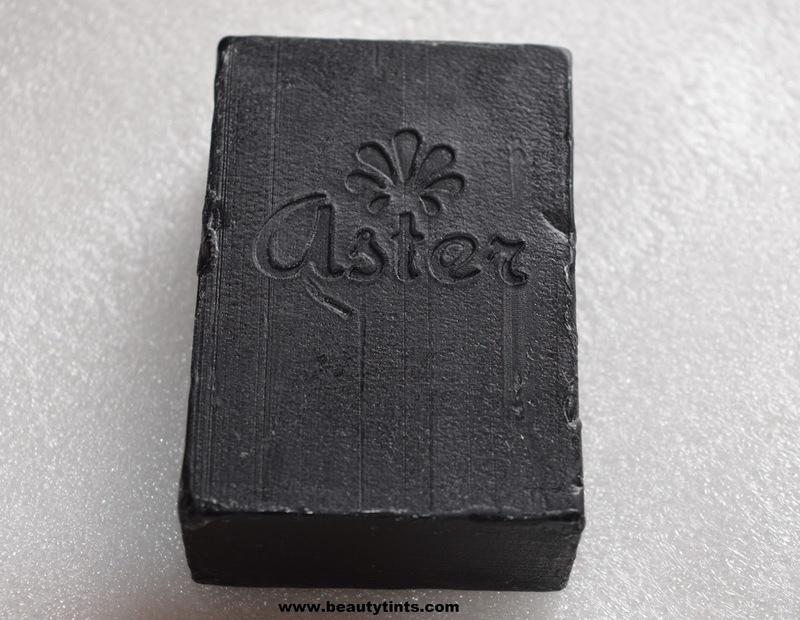 Aroma Essentials Charcoal Soap Review!!! Ayorma Fairness and Anti-Tan Face Mist Review!!! Iha Acne Face Wash Review!!! The LG Nexus 5X #ChampIsBack !!! 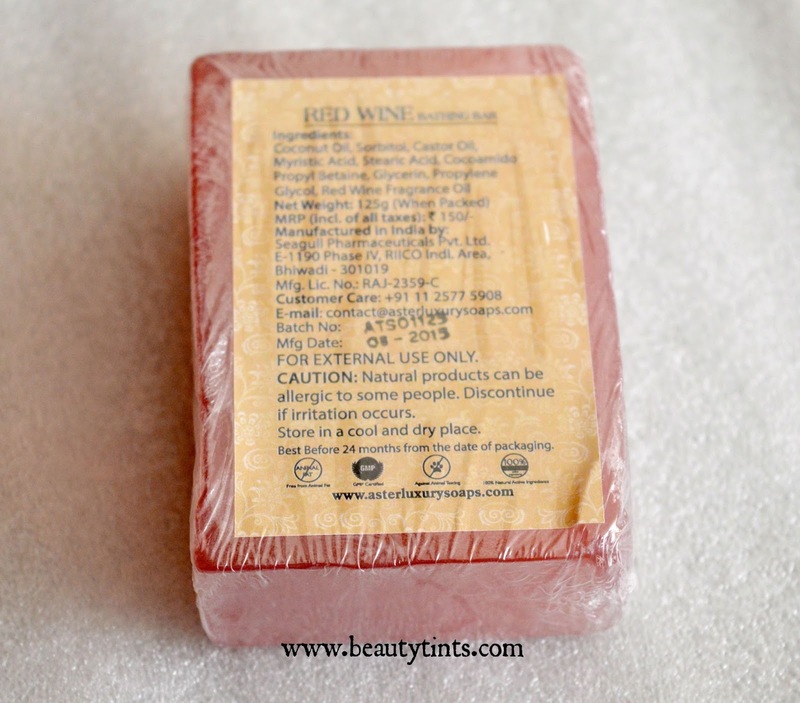 Khadi Herbals Heena Tulsi Shampoo Review!!! 10 Tips For Extra Beautiful Nails!!! MSM Express Box October 2015 Edition Review!!! 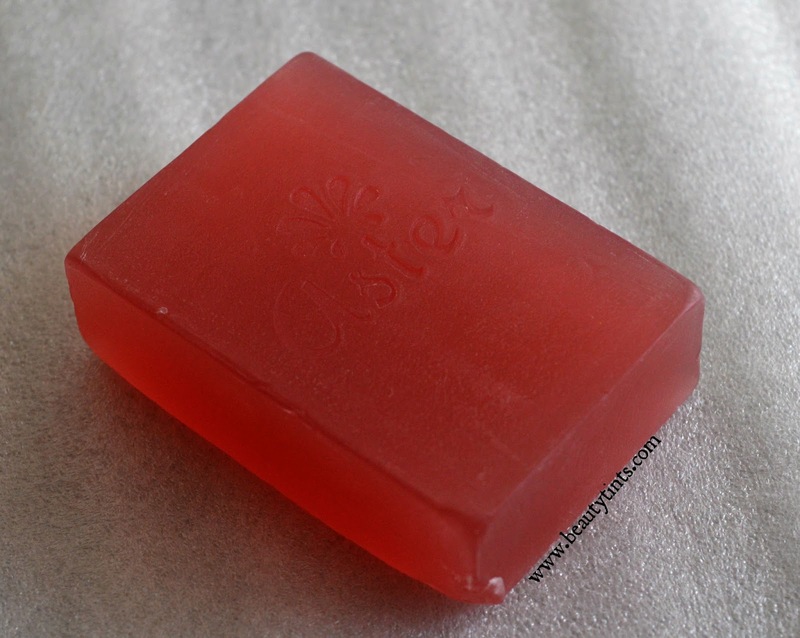 Ma Earth Botanicals Rose Facial Scrub Review!! !